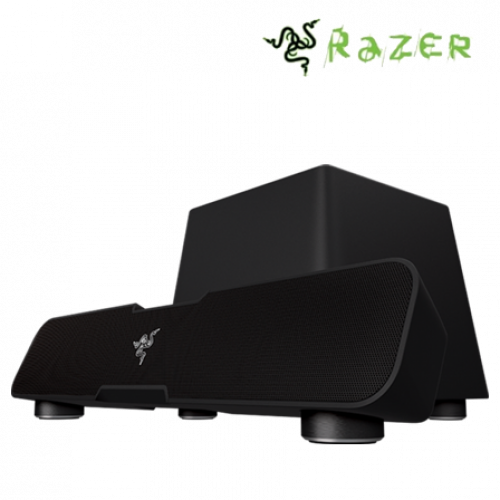 The Razer Leviathan seamlessly connects to your Bluetooth devices via Bluetooth v4.0 with the award winning aptX® technology for audio quality indistinguishable from a wired connection with an impressive dynamic range. With a connecting range of up to 10 meters, you can enjoy your music without the hassle of wires. The Razer Leviathan also remembers your recently paired devices, allowing you to quickly connect with a single tap. The built in NFC technology allows for ultra-fast pairing. 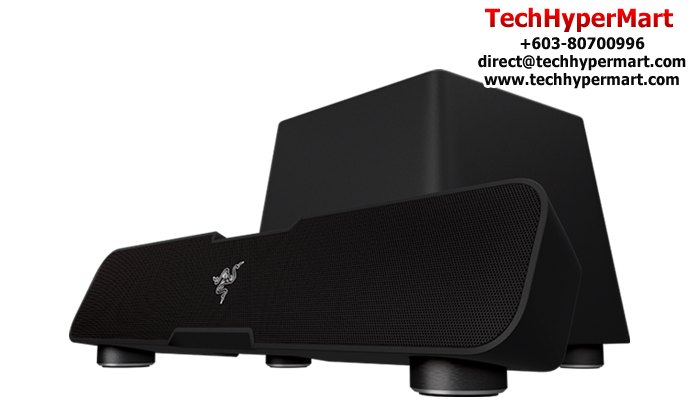 With a powerful 5.25” downward firing subwoofer dedicated specifically for the accurate reproduction of bass, and tuned to produce distortion-free lower frequencies, the Razer Leviathan is made to deliver chest-thumping, deep impact bass. 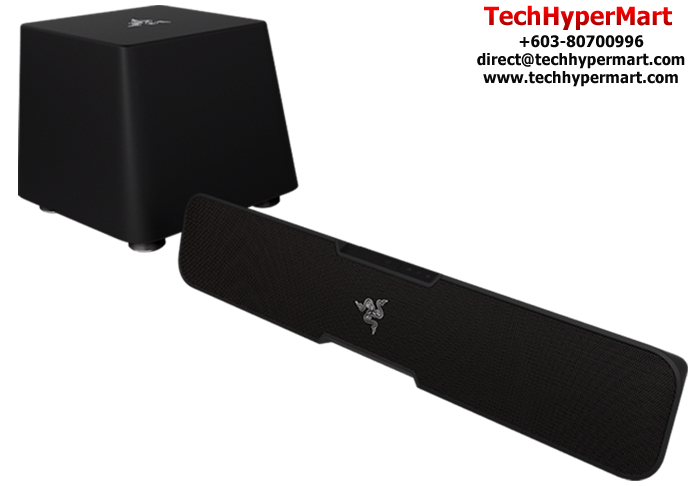 Synergizing with 2 perfectly tuned full ranged drivers and 2 tweeters in the sound bar, the Razer Leviathan lets you experience the entire spectrum of sound by providing crystal clear mids and impressive highs. 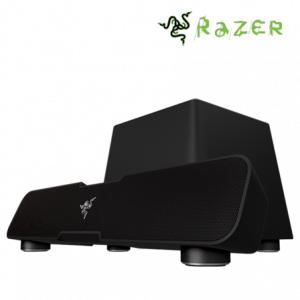 Dolby® Virtual Speaker is the technology that enables the Razer Leviathan to deliver 5.1 virtual surround sound via its two speakers by converting stereo and digital 5.1 channel audio into 5.1 virtual surround sound. More info here. Dolby® Digital (AC-3) is used to decode analog sound (5.1 or stereo) from an optical source and convert it into digital information allowing Dolby Virtual Speaker to reconvert this digital information into virtual surround. 5.1-channel Dolby Digital provides two surround channels to Dolby Surround’s one for more precise localization of sounds. More info here. Dolby® Pro Logic® II expands stereo content from all sources (Analog, Optical, Bluetooth) into 5.1 channel surround sound. After being expanded into 5.1 channel surround, Dolby Virtual Speaker will convert the expanded stereo files into virtual surround sound.